The new Ninoy Aquino International Airport Airline Assignments will effective on August 31, 2018. Philippine Airlines and Cebu Pacific. of the Philippines to improve the Philippine air traffic. 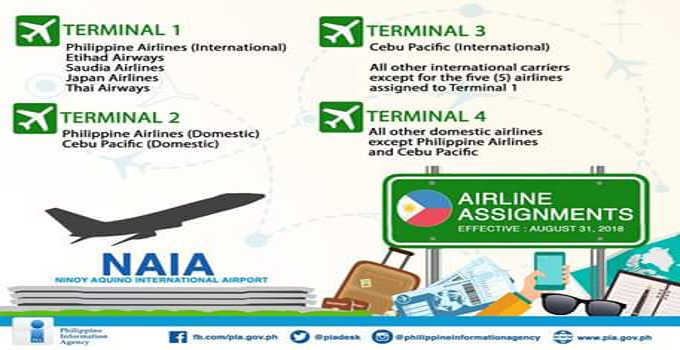 be moved to Clark International Airport in the province of Pampanga.